Agricultural Development Greeley: What Is Sustainable Agriculture? The world of agriculture is constantly changing. Along with new innovations in technology and a better understanding about how agricultural practices affect our environment, the industry has always been searching for new ways to optimize operations while holding true to the values of farmers and ranchers. That’s where sustainable agriculture has come into play. You may have heard of sustainable agriculture, which is a way to perform agricultural operations in a way that considers future generations and the impact on the environment. But what exactly does that mean? What is sustainable agriculture, after all? 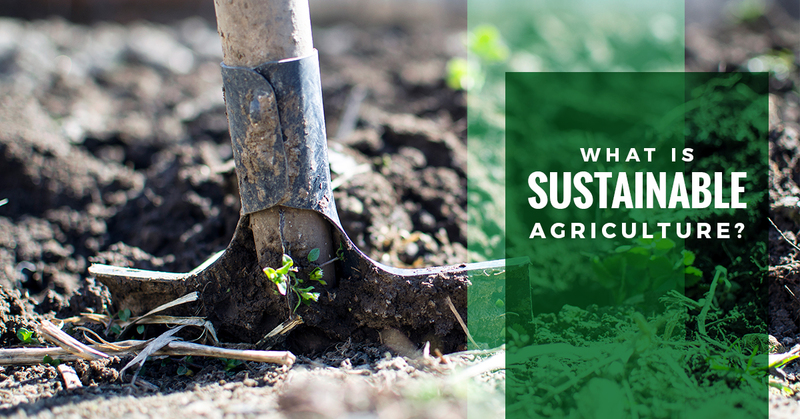 In this blog post, our agricultural development professionals will dive into sustainable agriculture in order to help give you a better understanding of what it means, as well as provide you with the tools necessary to implement sustainable agriculture on your own farm. After all, agricultural development is our passion, and our Greeley, Colorado-based team is willing and able to help farmers, ranchers, and agricultural experts around the region when it comes to consulting, engineering, real estate, and even brokering. Keep reading to learn more about sustainable agriculture and contact AGPROfessionals today to see how we can help you. Sustainable agriculture means farming in such a way that takes into account three things: the environment (and its health), economic profitability, and socio-economic equality. That essentially means that farmers and agricultural development professionals alike use best practice when it comes to promoting soil health, minimizing water use, and lowering pollutions levels on their farms in order to maintain (or sustain) the health of their land and the environment for use by future generations. When it comes to sustainable agriculture, the main goal or purpose is to meet our current needs without compromising the future. That means taking careful measures when it comes to water and soil conservation, mitigating the loss of natural resources, and the implementation of alternative energy sources wherever and whenever possible. Many farmers have been doing things the same way for generation upon generation. Change can be scary, but it can also be necessary. Taking careful measures toward sustainable agriculture can help the farming industry find new ways to grow and advance while still holding true to the practices of our ancestors. It’s been widely known that the general farming practice has lead to many negative factors, such as topsoil depletion, water contamination, the shrinkage of rural farm communities, and increased production costs. With sustainable agriculture, your farm can help mitigate these costs by offering new methods and solutions which can help preserve our lands and aid in our bottom line. At AGPROfessionals, we are always looking to help the agriculture community find new ways to streamline their operations and run at optimal levels. Through a variety of consulting services, our agricultural development professionals in Greeley can help you implement the best sustainable practices for your farm to ensure its long term health. Contact us today to see how we can help. We want to see you grow throughout this generation and beyond.